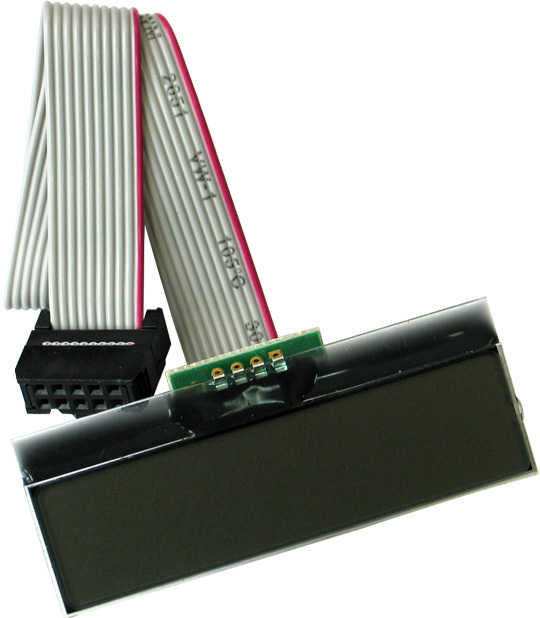 MOD-LCD-1x9 is a LCD with a UEXT universal connector. It can be attached and it adds LCD functionality to all other development boards. The LCD is controlled by I2C.